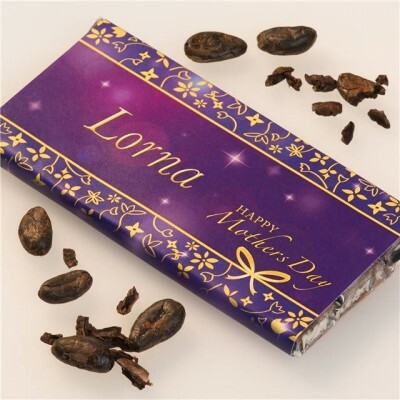 Make Mum's day with her own personal bar of chocolate. With a luxury milk chocolate wrapped in a luxury purple and gold wrapper you can't go wrong this Mother's Day. Incorporating her name and your message on the back, this gift is tastier than a card and gives Mum a real treat.